As different vicars came and went various changes were made to the pattern of church services. There have been many changes and developments in all the different church services through the years. Have a look at St James's Church services through the years which shows what happened from when records began up until 2017. Also have a look at St James's Day through the years. The Revd Derek Winterburn became our tenth vicar on 8th November 2016. 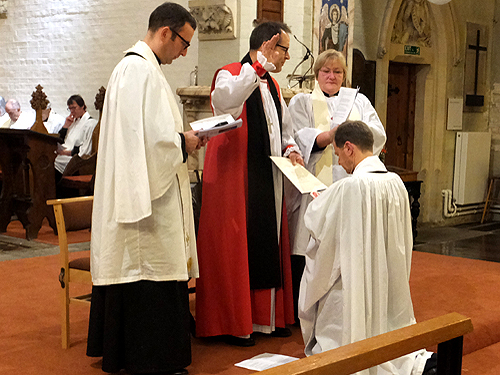 Have a look at The Institution and Induction of the Revd Derek Winterburn and see the photo album, Our new vicar. 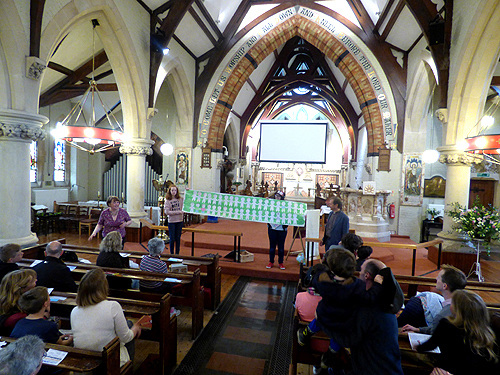 Many of the sermons were recorded on the new sound system and then uploaded onto the website. The latest ones can be heard from the page Sermons. Early in 2018 the vicar introduced a 'popular' last hymn, for when the Sunday School had rejoined the congregation. This was generally taken from the book 'Songs of Fellowship' and the children were able to join in more easily. The welcomers in church on a Sunday morning and the vergers at weddings, baptisms, funerals and other services were given name tags to wear which identified them as being welcoming helpers. 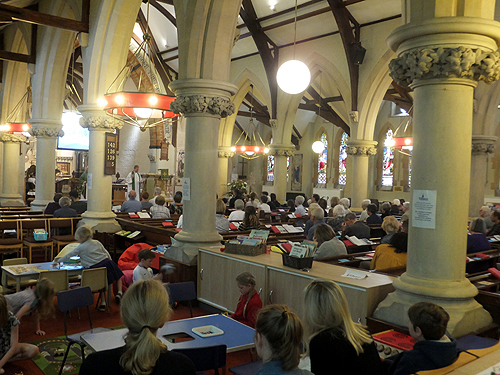 Songs of Praise, a service of hymns chosen by the congregation, was organised by the organist Mark and proved very popular. There have been designated children's services since the earliest days as maintaining children's interest has always been important to St James's. Have a look at Family worship through the years which shows what happened from when records began up until 2017. From December 2016 the occasional All Age services were sometimes held at 11.00 or 10.00 instead of 09.30. 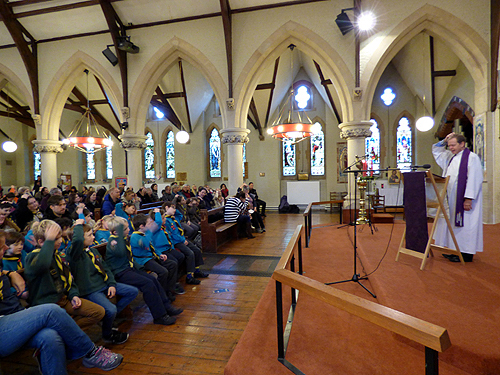 These services were designed to be more informal and accessible for children, without Holy Communion and often using the new overhead screen. ‘Together at Eleven', a service created to meet especially the needs of families was launched in April 2017. Everyone stayed together in church for worship, teaching and prayer. In the spring 2017 there was a highly successful pet service to give thanks to God for all animals. Pets were welcomed for a blessing. There were hymns, stories and prayers and afterwards both pets and owners enjoyed refreshments. See the photo album, Pet service.